Having made the decision to begin your journey in forex trading, one of the key considerations you will have to make from the outset, is your trading platform choice. This is a choice which will likely shape the early stages of your forex market experience and beyond. Whilst there is no one uniform choice of platform among top forex traders, there are a few well-renowned choices in the sector. Ultimately however, choosing a trading platform is a sole decision of yours as a forex trader. Before you decide on the appropriate trading platform, you should work on selecting the best forex broker to suit your needs. One of these major needs will be a top-class trading platform. This is something which is inextricably linked to a forex broker. The best forex trading brokers, will typically offer a range of the most professional and well respected trading platforms. 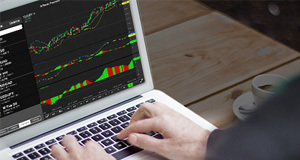 This is the case with TradeFW, who offer top trading platforms including Metatrader4. Many of these brokers will also facilitate web trading, and mobile forex trading through variations of these trading platforms, and even offer the facility of their own proprietary trading platforms. These self-branded trading platforms can often provide many similar features to that of third-party platforms, and can synchronize extremely well with other features your broker may offer such as forex market alerts, economic calendars, and other research based tools. The best way which you can gain some early direction on which forex trading platform to choose is through other traders in the industry. Taking the time to find and analyze a decent amount of forex trading reviews before making your final platform choice can prove to be invaluable. A major factor you should first consider is related less to the platform and more to how you will behave as a trader. The type of forex trading strategies you will employ, combined with the frequency and volume of trading, will be big determinants as to which platform you should choose. In practice, if you don’t intend on trading forex very frequently, a simple, broker proprietary, web trading platform may be more than sufficient for your needs. This could be something which has a minimal learning curve which you can quickly pick up on intuition and light engagement with the brokers learning resources. Next you will want to compare forex platforms based on their features in order to make the most informed decision possible. Typically, when identifying the best forex platform, traders first look at user-friendliness. This is an expectation. Beyond that, features such as charting capabilities when performing technical analysis, and flexibility to operate across a number of markets become important. On a more advanced note, the capability of a trading platform to implement APIs and automate your trading strategies will also come into play. These are features which the majority of respected trading platforms such as Metatrader 4 already possess. Reputation is crucial when trading forex online. This applies strongly when choosing your forex platform. With so many currency trading platforms to choose from, it is important that you conduct due diligence to gauge the reputation of each among the professionals in the industry. An excellent way to begin benchmarking the platforms is by studying how long they have been established and active within forex trading. This method is not foolproof but will provide a strong indication in one direction or another. MT4 is a strong example of this in a positive sense. This platform from metaquotes is widely partnered with top forex brokers throughout the industry, including TradeFW, and is still heavily used even more than a decade since its initial release. Once you have decided on what you believe to be the best forex trading platform for you, the work of trading begins. Not only that, another important phase of your forex trading adventure also starts. That adventure is a continually progressive study to learn forex trading, and develop a deeper understanding of your trading platform and what it can do for you. It is through this future planning and continued education that you will, in time, become an expert with your chosen forex trading platform. This can be accomplished through a combination of your own dedication to learning, and effective use of the extensive educational resources which a top forex broker will provide. Online trading in forex is a multi-faceted undertaking. This is clearly exhibited within the early stages of trading when you make the key choice of choosing your forex platform. This is a crucial choice which will define many of your future moments in the industry, therefore, it is a decision to be made after much careful deliberation and research.